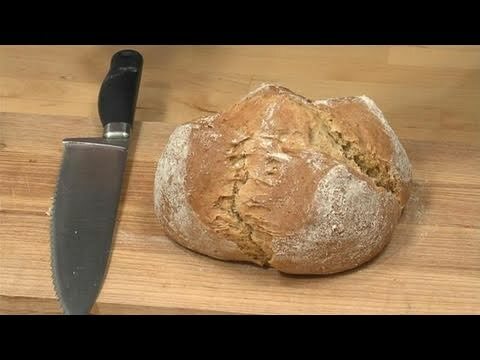 Irish soda bread is a traditional quick bread that is quite simple to make at home. It is made with sifted soft flour, bicarbonate of soda (baking soda), buttermilk, butter and salt. The bread gets its name from the fact that the original Irish recipe uses bicarbonate of soda as a leavening agent. The recipe does not use yeast and is therefore called a quick bread, since the dough does not have to be left to rise. As with the majority of home baking, Irish Soda Bread is at its most scrumptious when served still warm out of the oven. Try it lightly buttered with a little honey for a sweet treat.